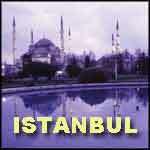 ISTANBUL: For more than a thousand years Istanbul was the western world's largest and most important city. 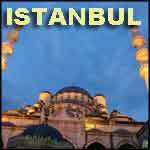 Once again, Istanbul is the largest city in Europe offering an exotic array of attractions and rich history. 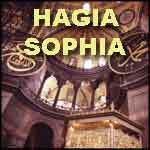 Play all movies in ISTANBUL YouTube Playlist. Our cruise ship has a spectacular arrival in Istanbul, with splendid views of the Blue Mosque, Haghia Sophia and the historic harbor. 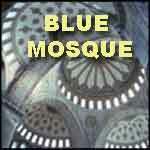 Then we preview our travel video visit. 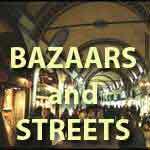 Our guided tour continues with a brief look at the Grand Bazaar, with 4,000 shops. Then we take a walk in the crowded lanes behind the Spice Market and duck inside briefly. 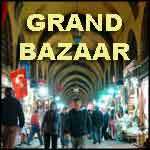 Istanbul Grand Bazaar: This giant market in the heart of Istanbul has 4,000 shops under one roof and a maze of 65 alleys in a vast and disorienting conglomeration. 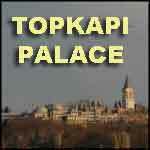 Istanbul Topkapi Palace, home of the former Ottoman sultan, most popular visitor attraction in Istanbul. 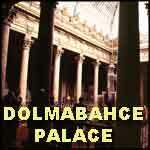 Beautiful palace has been transformed into major museum. Istanbul Dolmabahce Palace: the royal Sultanate built the new palace of Dolmabahce in 1842-1856 with standards fit for European royalty. 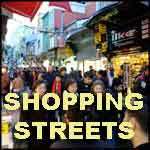 Istanbul shopping streets filled with locals & the busy Spice Market is where you find many good deals. Completely safe, this is the heart of the city. 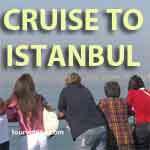 Istanbul Bosphorus boat ride: ferry ride on the Bosphorus, the strategic 20-mile-long strait that divides Asia and Europe, offers beautiful views of palaces and villages along the waterfront. 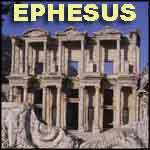 Ephesus: Ancient site on the coast of Turkey built by the Greeks and the Romans, with ruins in good condition. 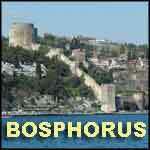 We reached Kusadasi via cruise ship and shopped for carpets. 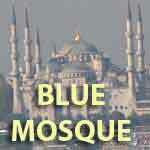 Combined Videos: The previous video highlights collected together in a one-hour complete Istanbul movie, detailing how to spend Three Days in Istanbul. travel video.